SAN DIEGO (KUSI) – Several orphaned puppies will be pressed into service as ring bearers for Valentine’s Day weddings at the county Assessor/Recorder/Clerk’s office. The Helen Woodward Animal Center announced a partnership with the county Assessor/Recorder/Clerk’s office Monday to have a group of orphaned puppies serve as ring bearers for Valentine’s Day weddings. 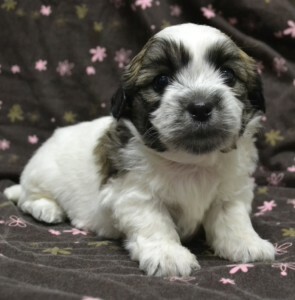 The four Havanese puppies will be put up for adoption on Thursday, but will first be part of the busiest wedding day of the year, under a partnership with the Helen Woodward Animal Center. According to county Assessor/Recorder/Clerk Ernest Dronenburg, more than 100 couples got married at his downtown office on Valentine’s Day last year. “We are happy to share the love at the county making everyone’s wedding ceremony more memorable while helping these adorable Valentine’s Day puppies find a forever home,” Dronenburg said. The puppies will act as ring bearers for weddings between 8 a.m. and 10 a.m. Residents interested in adopting the puppies can meet them afterward at the Helen Woodward Animal Center, located at 6523 Helen Woodward Way. The puppies will be available to meet prospective adopters from noon to 5:15 p.m.